Approval workflow solutions evolved largely as a method to help creative teams gather feedback on their print and web designs. Primarily used for content like flyers, brochures, banners, print ads, direct mail pieces, and other image heavy pieces, approval workflow lived in the graphic design department, among the Macs and sketchpads. 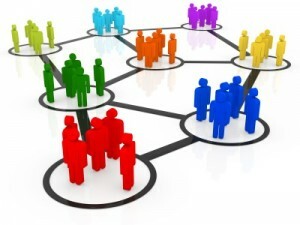 But recent shifts in the business environment – collaboration and feedback being progressively more valued, telecommuting gaining popularity, more and more companies with teams that span the globe, an increased focus on tracking and metrics – have allowed the approval workflow solution to find ways to increase productivity and speed project completion across diverse departments. Marketing departments are charged with producing a wide variety of customer-facing materials. Websites, press releases, newsletters, social media content, pay-per-click advertisements all require submission, routing, collaboration, review, and approval. These materials may get shared across departments and will likely go through several roads of revisions. A marketing department can find a great deal of value in implementing an approval workflow solution to manage this process and maintain control over content. Product design represents another opportunity for an approval workflow solution to break bottlenecks and speed time to market. The ability to quickly and easily share a large variety of content- spec sheets, diagrams, testing footage, performance reports, etc. – plus intuitive mark-up and collaboration tools, and a central, organized repository of all proof versions and feedback make approval workflow solutions an ideal instrument in the product design toolbox. What are some areas of your business that could benefit from a review and approval workflow solution?